Did you just misplace or Lost your Android Phone/Tablet anywhere? 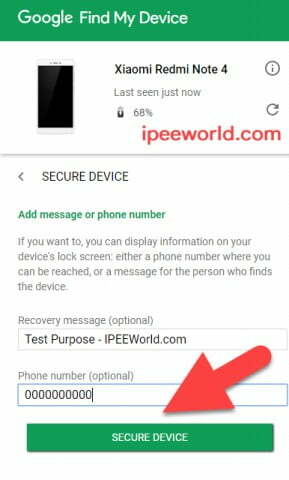 If you lost your Android Device somewhere and you are not able to access or find it, today I am here with a cool working method to find your Lost or Misplaced Android Device easily. Don’t worry, this method will also help you to find your Phone if it is stolen by someone. It quite common that we might place our phone somewhere and we might forget where we kept it. Even after searching it for hours we may not be able to find it. In this case, we can easily find the device or make the device ring without even having the need to touch the phone. 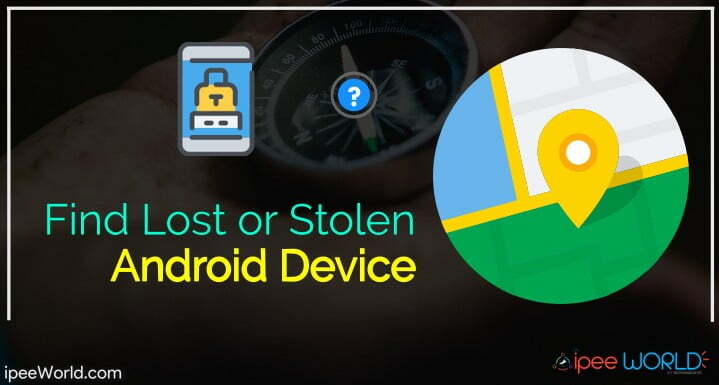 When it comes to security, Android has put forward a really good approach to find lost or stolen phones, Today, in this article I am going to explain about a cool feature by Android which is enabled in each and every Android Device by default. Recently, I also shared a working trick to find the Realtime location of any mobile number using Mobile Number Tracker, go check that as well. “Find My Phone” is a really cool feature available on Android to find our Android Device if we lost or misplaced it somewhere. We are going to make use of the exact same feature to find our device. There are a few little settings changes that you should make to your Android Phone. At first, Let’s see what are them. 2. Then Tap on Device Administrators from “Device Administration Tab” and make sure that “Find My Phone” setting is toggled to the ON Position. Now, you are done with all the basic steps and settings that should be changed in your device. As we have set the Accuracy of location settings to High, it will now give us the more precise location of your phone. Find My Phone is an App developed by Google for Android to secure your phone. 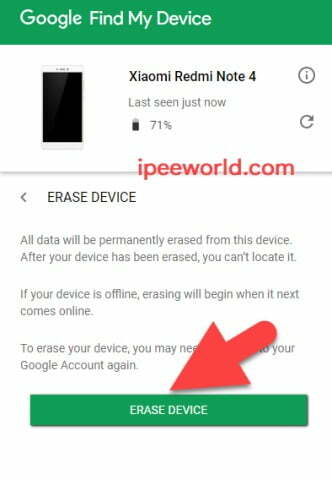 In case, you just lost your phone somewhere or misplaced it you can easily find it, Lock it or Completely Erase all the data that is in the phone and make it Factory Fresh. All these can be done with the App called “Find My Phone” the app is available in the Google Play Store and click the button below to quickly download the App to your Android Phone or Tablet. Now, if you are already logged into your Google Account then go to the next step. If you are not already logged into your Google Account then quickly Login to your Account using Gmail. If you are having multiple Android Devices connected to a single Googe Account then the list of all devices will appear in there all you want to select is the device that you lost. Once you selected the device you misplaced there appear three different options. From the Map above, you can find exact and precise location of your phone. This will help you to find where your is phone is right now. This is the second option. Using this option you can display a custom message of your choice on the Lock Screen of your Phone along with your other number where anyone calls you. This will come handy when you lost your phone somewhere and can’t find. So, people who find it can easily return the phone back to you by calling the number you provided. And when a person finds your Phone he/she will be presented with a screen like below with a call button. On clicking the call button, it will automatically call you to the number you provided. This is the last option to try if you have done everything you are not able to find the device. This option will erase all your data on your phone and make it in Factory fresh condition. When you have clicked on the Erase Device button a message like below will pop up. “All data will be permanently erased from this device. After your device has been erased, you can’t locate it. If your device is offline, erasing will begin when it next comes online. This is how we find our lost Android Device. Find My Phone is a really good feature by Google for Android that let us find our Phone when it is lost or Stolen. Hope you guys were able to find your Lost, Stolen or Misplaced Phone back with the method I mentioned in this article. Find My Phone is the aoo that we are using to get the things done. This will work even if the App is not installed in our device. 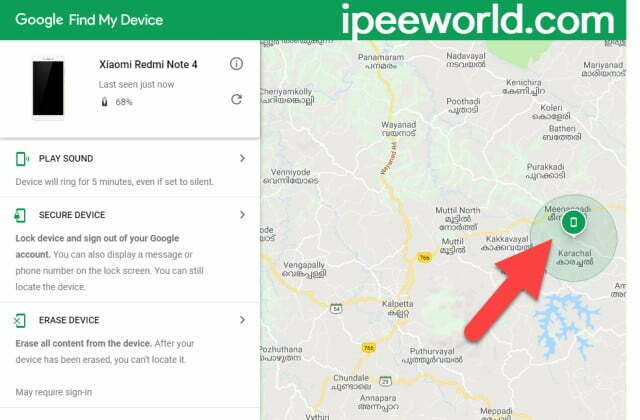 Just open Google and search for Find My Phone and it will instantly show your device’s current location embedded on a live Map via Google Map. Hope you guys found it useful, If you guys have any doubt be sure to comment down below and I will catch you at the soonest.